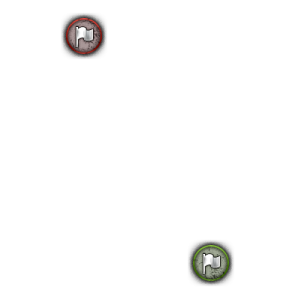 A more or less unique map in that the teams do not start near the flags, Komarin offers multiple tactical options. The teams start in the north and south, divided by rivers offering three routes. The rivers itself are mostly impassable. The middle bridge is also only accessible once a heavy tank clears the obstacles by driving over them or if someone clears them with HE ammo. The center route is a large, elevated, and wooded island connected by bridge to the south, and offers firing positions to nearly the entire map, but at the cost of being exposed if spotted. 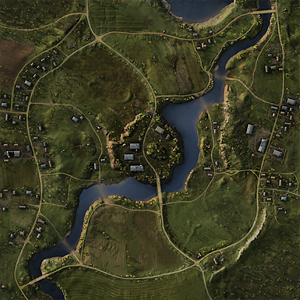 A small village on both the west and east side of the map offer attackers valuable cover en route to the flag, but leave any tank passing the village exposed to covered and concealed defenders once they leave the village. The only game mode on Komarin is Standard Battles. 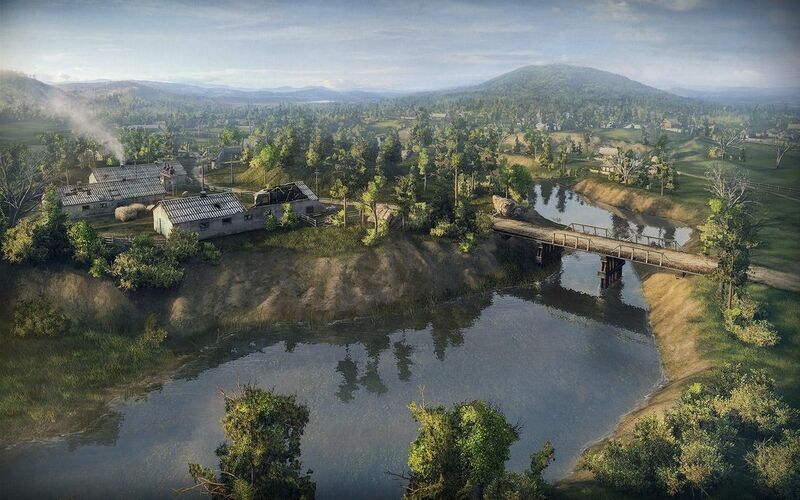 Komarin used to be a very campy, sniper-friendly map, but in its latest iteration the bushes on the map have been reduced, and now terrain features play a bigger role in providing cover. The hill is usually where the big tanks clash, and if won, tanks can snipe almost any place on the map from it, and it's a very good avenue for storming the enemy base. However, while the two sides are battling on the hill, unwary tanks can be shot at from the sides of the map. The sides of the map are usually areas where faster tanks and TDs go, with faster tanks lighting up enemies and drawing fire, while TDs snipe at stray tanks down their rather long lane of fire. This page was last modified on 27 March 2017, at 13:37.